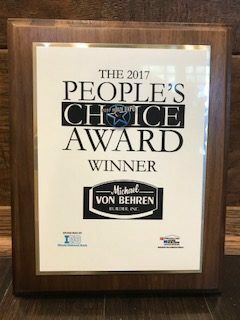 Custom Home Building and Remodeling | Michael von Behren Builder, Inc.
Our team continues to grow with new project managers. Steve Huddleston and Bob Stowell, both joined MVB as project managers and each bring 25+ years of experience to the company. Both Steve and Bob have built several houses in the area and know the ins and outs of construction. We are glad to have them on our team! Michael von Behren Builder took part in a community event that gives back to children in need of items to start school off on the right foot. The First Day Fund came to Michael von Behren Builder on the hottest day of the summer to fill backpacks for over 1,400 students in the Central Illinois area. The First Day Fund was very appreciative of the space that our company provided. Michael von Behren Builder is the proud owner of two premier lots in Ironbridge Subdivision in Chatham, Illinois. Ironbridge is the newest subdivision in the area with the location close to the interstate and high ranked Chatham School District #5 schools. One lot allows for a walk-out basement and the other allows for a basement. Wooded trees back up to the property line. Please call (217) 698-8484 for more information on the lots available. Jared Gerding joined the MVB team as a Project Manager. Jared has been in the construction industry for the last 20 years. He understands the construction world from many different views as he has spent time as a lead carpenter, site superintendent and now enjoys his role as a Project Manager and Estimator. Jared resides in Springfield with his wife and his son. The Springfield Area Home Builders Association named Michael von Behren Builder's Aaron Acree the 2016 Remodeler of the Year. 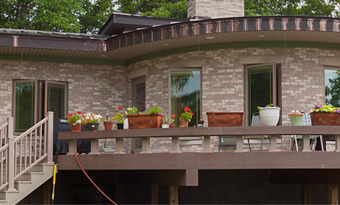 Over the past year, MVB Builder has been busy working in the Central Illinois area to make dreams come true for clients. We appreciate the opportunity to remodel and build homes in the area and look forward to each project. John has been in the construction industry for 22 years, starting out as a framing carpenter in 1993. Soon John would start his own business and frame homes for many contractors in the area. In 2000 John started a home building business. Since then John has enjoyed success building homes for clients all over Central Illinois. He has always kept up with the latest trends in building and design. MVB Builder, Inc. is happy to welcome Lynn Alewelt to its full-time staff. In her new role, Lynn will worl< as the in-house designer working closely with the MVB Builder project management and Construction teams as well as clients to collaborate on new project designs. Ready to add a guaranteed conversation item to your kitchen? MVB Builder has the answer. The Springfield-based custom home builder and renovation company has partnered with Greenfield Cabinetry and The Fish Man to feature a salt-water fish tank and kitchen island combo.